Worker disputes are on the rise in China, putting the squeeze on Chinese manufacturers who built their business on the back of its massive low-cost labor force. Plant manager: "Right now, domestic demand is high and it's difficult to find workers"
Foshan, China (CNN) -- Zhang Xinquan has to learn how to do business again. As a top manager in a major leather and shoe business, he built his career turning profits in booming China. But these profits are now getting harder to come by. "Prices in the U.S. and European markets are down," Zhang told CNN, "prices of raw materials and labor are growing, therefore we can't increase salaries, and margins are shrinking." A sea change is happening in the Chinese manufacturing world. China, which built its economy on the back of its massive low-cost labor force, is now seeing an increase in labor disputes as workers demand higher wages and better work conditions. That is especially true in the province of Guangdong in southeastern China. Just across the border from Hong Kong, the area was ground zero for the country's economic explosion when it first opened to the West in 1980. But recent events show the growing pains of the region as its manufacturing base matures. 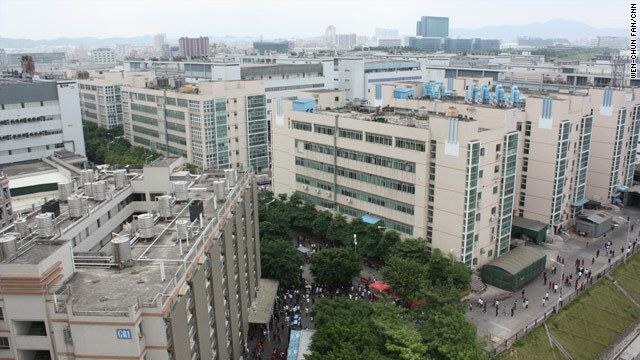 Electronics manufacturer Foxconn -- which builds products for Apple, Dell and Sony -- recently promised to double pay increases to employees after a string of worker suicides at its factories in Shenzhen. Honda offered a 24 percent pay increase last week for workers at a components factory in Foshan after a strike there ground the firm's supply chain to a halt. Zhang has witnessed firsthand the labor changes in Foshan. His company, Jiaofu Leather Products, has had to pay wages 15 to 20 percent higher since the start of the year; he also pays more for raw materials and charges less for the goods he sells to stay competitive. Salaries are 70 percent of his production costs. Stiff competition makes filling vacancies a challenge. His company, Jiaofu Leather Products, has not had problems with production so far, but the risk grows. The industrial plant CNN visited in Foshan, a factory town close to Hong Kong, is normally staffed by 6,000 to 7,000 people, according to Zhang. Now he is managing production with 2,000 workers. Increased shipments abroad are only part of the greater demand Chinese industries are facing. Local demand for workers has also increased. "Right now, domestic demand is high and it's difficult to find workers outside of their hometowns," Zhang said. Zhang offers workers around $300 a month, plus accommodation and other benefits. He said factories are paying $180 a month in inland provinces, and workers prefer to stay close to home despite earning 40 percent less. "The labor market (in China) is composed of people who move from inland areas to industrialized parts along the coast," said Joan Brugués, who manages many industrial companies in southern China through GChina, an investment fund. Traditionally, this internal migration has supplied coastal industrial areas like Foshan, but the $585 billion economic stimulus package China unveiled during the economic crisis has increased job opportunities in inland areas. While this has proved beneficial for China's total economy -- which grew faster than expected by analysts at 11.9 percent during the first quarter, compared with the same period last year -- it is becoming difficult for coastal businesses to attract and retain labor. "Here, in Guangdong province, there has been an increase in the minimum wage," Brugués said. 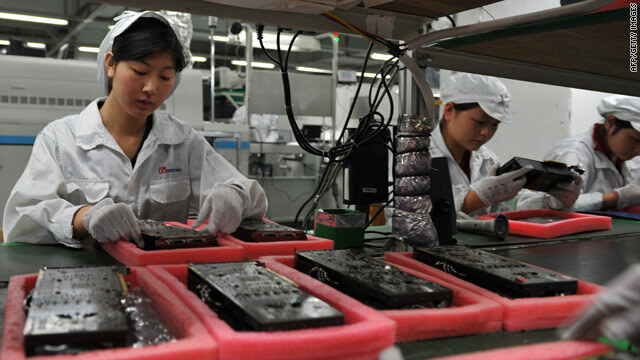 Minimum wage increases for factory workers in industrial areas will be influenced by the latest pay rises by Foxconn, the troubled technology manufacturer. Following the series of employee suicides it raised salaries to $293 a month. Meanwhile, Zhang hopes the worker shortage will be over soon. "During this time we have to act like the snake, hibernating," he said.